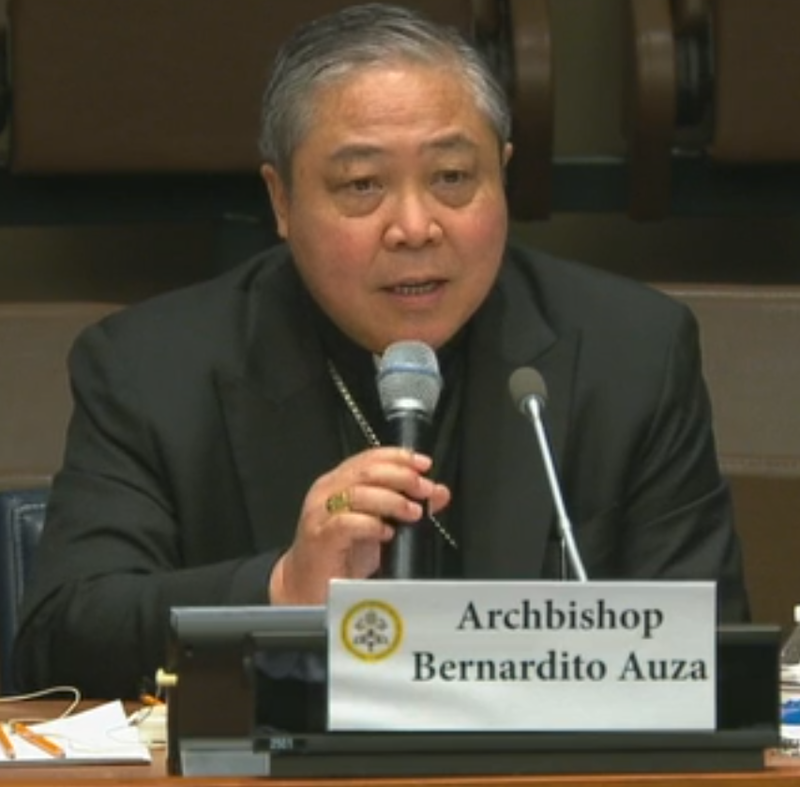 “The Holy See would like to take this opportunity, once again, to express appreciation for the work of the United Nations Relief and Works Agency for Palestine Refugees in the Near East (UNRWA),” said Archbishop Bernardito Auza, Apostolic Nuncio, Permanent Observer of the Holy See. at the Seventy-third Session of the United Nations General Assembly, Fourth Committee Agenda Item 54: United Nations Relief and Works Agency for Palestine Refugees in the Near East, on November 12, 2018, in New York. The Holy See would like to take this opportunity, once again, to express appreciation for the work of the United Nations Relief and Works Agency for Palestine Refugees in the Near East (UNRWA). The Agency provides a range of essential support for some 5.6 million registered Palestine refugees on the West Bank, in Gaza, Jordan, Lebanon, and Syria, supplying the most basic human needs from housing to education, health care, and social services. In Gaza alone, where unemployment stands at around 43 percent (2017), UNRWA provides jobs for over 13,000 personnel. In a situation that shows no sign of being resolved quickly, a fully functional UNRWA remains the best means to prevent the situation in the region from worsening in a way that would bring greater cost to the international community. Yet in spite of its invaluable and increasing work at a time of instability and conflict in various parts of the Middle East, the Agency currently faces its largest funding shortfall ever, in excess of $200 million, given that the needs far exceed the voluntary financial contributions. Faced with such a budgetary deficit, the international community needs to show an even greater sensitivity to the plight of the refugees across the region and maintain its solidarity so that the Agency can adequately serve the men, women, and children who continue to contend with extreme pressures, hardships and anxiety about the future. My Delegation is concerned that some would like to limit the understanding of the status of Palestine refugees to those who fled Palestine in 1948, excluding descendants through the paternal line who are eligible for registration. Such a restrictive understanding would deprive the still stateless descendants of the first wave of refugees of any claim to support. Given the right of all peoples to a homeland where they can live in peace and security, with their rights protected and upheld, the international community has a grave responsibility to facilitate the settlement of the millions of refugees concerned. In spite of setbacks and the seemingly insurmountable difficulties encountered along the arduous path towards peace and reconciliation, such as violence, displacement and the threat of war that looms in the region, the Holy See reaffirms its unwavering support for the Two-State solution as the only viable, long-term way to address the problem of the extended statelessness that continues to be the condition of the Palestinians. There is a need to overcome the impasse and refocus our efforts on ultimately returning to meaningful negotiations. Until the time when these negotiations give tangible and lasting results, the work of UNRWA will not be complete. It is therefore of the utmost importance that its current mandate, scheduled to end in 2020, receive the appropriate political support for it to continue its work as long as it is essential to the welfare of the Palestine refugees, and financial assistance necessary for its humanitarian mission and for its work in protecting the basic rights of a stateless people. As we approach the 70th anniversary of the Universal Declaration of Human Rights, it is important for the international community to commit itself so that all peoples, including Palestine refugees, may celebrate and enjoy the fundamental rights the Declaration enshrines. Together with private and governmental agencies, UNWRA plays a vital role in seeking to defend and advance the rights and dignity of Palestine refugees today and to alleviate their suffering.